The Zanzibar International Film Festival (ZIFF) is celebrating its 20th year anniversary by introducing the first Film and TV market, SOKO FILAM where industry stakeholders will come together to buy and sell Film and TV content, exchange new ideas, identify alternative channels for distribution, discover the latest technology and innovative business models that are driving the taste, expectations and usage of a rapidly growing consumer base in East Africa. 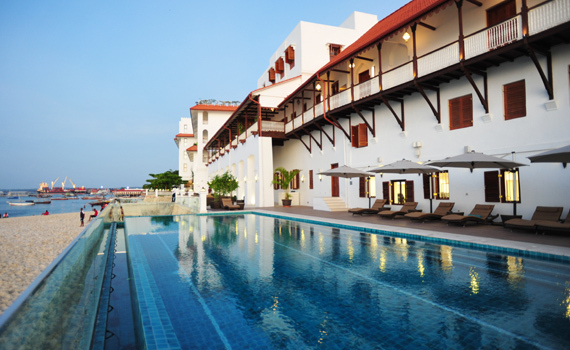 Zanzibar from 9am – 4pm daily at the Park Hyatt Hotel. Attend a full programme of panel discussions and workshops (In partnership with the US Embassy of Tanzania). Form new partnerships through networking. Broaden their expertise during industry training workshops. An opportunity for content developers who are seeking funding opportunities to pitch their content ideas to industry executives and professionals seeking innovative concepts. Creative Documentary Film Production, facilitated by Judd Ehrlich – An Emmy award winning documentary film maker. Women Make Movies Workshop/Documentary Workshop – A new award for women documentary filmmakers. Marketing and Distribution Workshop and pitching – This workshop will culminate in a day of pitching for funds; selected producers will pitch projects and the panel of specialists will spend time with each team to develop their ideas and get them to pitch them in a competition. With 2017 as the inaugural year of the SOKO FILAM event, ZIFF is looking for a selection of key Anchor Exhibitors that will take centre stage at the market as well as host a selection of panel discussions. Anchor Exhibitors have their choice of preferential exhibition space, as well as a bespoke selection of sponsorship rights dependent upon level of involvement. The SOKO FILAM team is available to design a specific package to meet exhibitor needs. With an extensive outreach campaign planned that will reach into East Africa and beyond, Soko Filam will provide associated sponsors with massive opportunities to speak directly to the African film industry. Companies and producers are invited to exhibit at the SOKO FILAM event at NO CHARGE. A limited amount of standard exhibition stands (unbranded) will be made available on a first come- first serve basis. These 2m x 2m stands would include: table, 2 chairs, backdrop for branding, plugs, Wi-Fi and upon request can also quote for LCD monitor or other special requests. Exhibitors would be required to work with the SOKO FILAM preferred supplier to brand and further furnish their stands at their own cost. Stands would also need to be staffed for the duration of the event.